Do you still remember the lyrics? There are undoubtedly a few things you'll remember from the original run of Meteor Garden. You've got the unforgettably quirky Shan Cai (Barbie Hsu), and her frustrating love triangle with Dao Ming Si (Jerry Yan) and Hua Ze Lei (Vic Zhou). And who could forget the scene where Shan Cai is trying to run after Dao Ming Si, who's on a bus, with her groceries falling on the road? But aside from those scenes, of course you'll also remember the theme song that started every episode a.k.a. the best part of your afternoons. Well, now that the 2018 reboot of the show is almost here, you can once again go back to mumbling the same lyrics—or at least, something that sounds like it. The new cast of the reboot has a video performing the now-iconic song, which is actually entitled "Qing Fei De Yi." The reboot last teased fans with character posters of the new cast members looking every bit like your favorites from the original show. 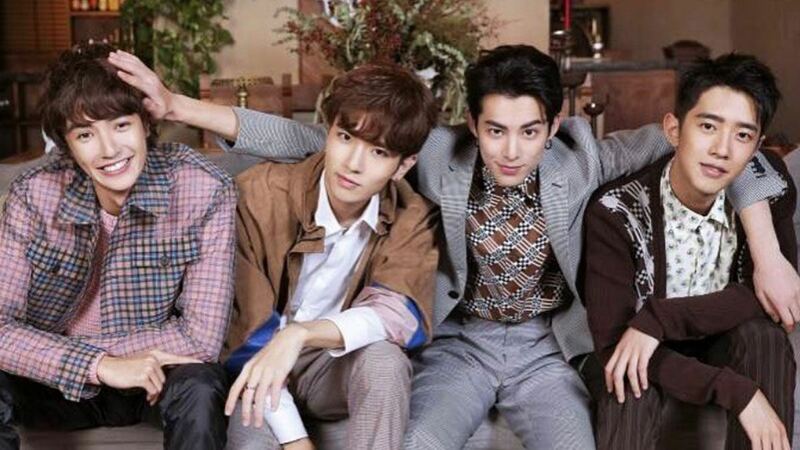 Chinese actress Shen Yue now plays Shan Cai, 19-year-old Dylan Wang is Dao Ming Si, 22-year-old Darren Chen takes on the role of Hua Ze Lei, 23-year-old Connor Leong is Xi Men, and 21-year-old Cesar Wu plays Mei Zuo. The 48-episode show will still be helmed by the original showrunner, Angie Chai. There has been no official date for its premiere yet, but it's set to air on ABS-CBN.